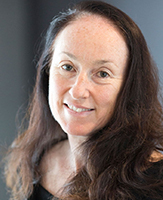 Dr Grunseit is Senior Research Fellow (Evaluation Analyst) in the Prevention Centre’s Rapid Response Evaluation Capacity based at the Prevention Research Collaboration at the University of Sydney. She has more than 20 years’ experience in behavioural epidemiology, evaluation and social research with government, university and non-government organisations. She has conducted qualitative and quantitative analyses on a range of health prevention topics including physical activity, sedentary behaviour, risk factors for obesity, unhealthy food advertising to children, and tobacco control. Dr Grunseit has also conducted a number of evaluation studies including the impact of sit-stand desks in a government workplace, an obesity prevention mass media campaign, and the NSW Quitline. Anne Grunseit became interested in public health when she volunteered for the AIDS hotline answering phones after finishing her Honours degree in psychology. 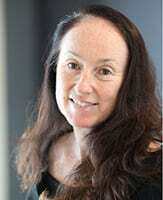 Now, 20 years on, she is a Senior Research Fellow in the School of Public Health at the University of Sydney. “It was really quite an eye opener for someone who was in their early twenties to be sitting in Darlinghurst listening to all these rather detailed stories about what people had been up to at the weekend,” Dr Grunseit says. In the same building as the hotline was the National Centre for HIV Epidemiology and Clinical Research, and there Anne found a job as a research assistant in neuropsychology, assessing the impact of HIV on the brain. This led her to a role at the National Centre in HIV Social Research at Macquarie University and then to her PhD, a national study of HIV-related risk behaviours and attitudes among young TAFE students. After graduating, she worked on a variety of roles at the Bureau of Crime Statistics, the Australian Securities and Investments Commission on consumer research and for the Law and Justice Foundation, but eventually decided to come back to health. For almost a decade at University of Sydney’s School of Public Health, Dr Grunseit has conducted epidemiological and evaluation studies ranging from tobacco control with the NSW Quitline, to a project evaluating the impact of stand-up desks and an obesity prevention mass communication campaign. Now she’s working with the Prevention Centre as an evaluation analyst. “The big difference is that now I get to work more closely with policy makers,” she says. She also teaches evaluation methods at the university. When Dr Grunseit’s not evaluating projects, she’s cycling or playing squash or soccer. She also has an interest in archaeology and had the good fortune to join a dig in the Carpathian mountains in central Europe in 2016 where she helped excavate the ruins of a Roman fort.